One of the more iconic songs of the disco era focused on the singer’s desire to put on his boogie shoes and boogie with you. Back in the 1970s when disco was at the peak of its powers, a pair of boogie shoes was just as standard a piece of apparel as a belt or dress socks. When you went on vacation, you made sure to pack an extra set of underwear, a light jacket in case it got cold, and your boogie shoes, because you never knew when you might get called out onto the dance floor to shake your groove thang. Getting down for a good time was serious business back in the day. For better or for worse, these days we put far less focus on the boogie in all its forms, but that doesn’t mean you shouldn’t be ready when that disco beat comes a-calling. 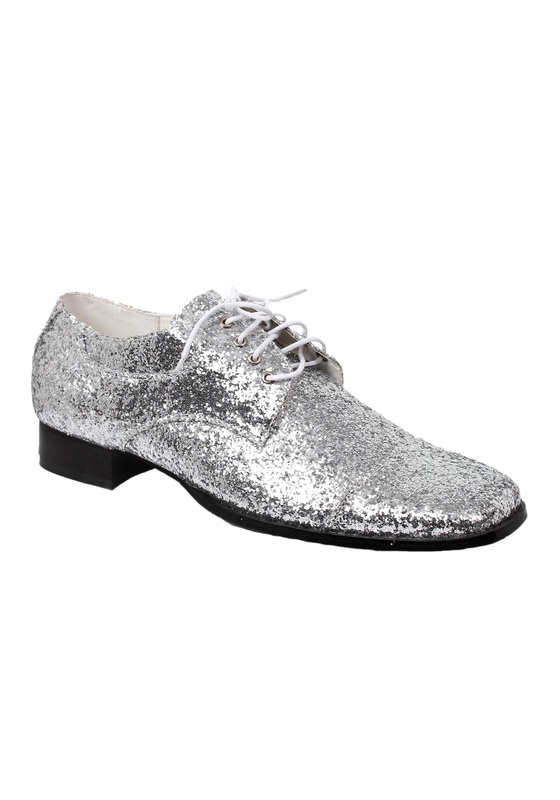 Polish off your dance floor ensemble with these sparkly, wingtip-style shoes. Made from synthetic materials and featuring a retro rounded square toe box, the upper is covered with enough silver glitter to rival any disco ball. We can’t guarantee that they’ll give you the hottest moves on the dance floor, but they’ll give you enough style points to go a long way toward curing your boogie fever. And after all, what’s disco about if not style?